“The station has been praised as being open and accessible with covered corridors connecting the 24 departure stands but its offices and retail outlets can easily become hot in the summer and cold in the winter”, explained Yvonne Whelan, Facilities Manager for property consultancy Bruton Knowles, which manages the station’s services on behalf of Centro. “We were also aware of the R22 issue and therefore worked out a schedule of replacement with Trios Compliance that could demonstrate an increase in energy efficiency for the client”. Most rooms in the building complex have lots of glazing and therefore air conditioning is a must. The new system uses two City Multi Replace VRF (Variable Refrigerant Flow) air conditioning units for the bulk of the complex, which includes the Centro office and travel shop. Two Mr Slim split systems were also installed to provide air conditioning to the mobility shop at street level. The added benefit of using the City Multi system is that can simultaneously heat and cool different areas so that the energy loads can be more balanced across the building, thereby increasing efficiency. “We worked closely with Centro and Bruton Knowles so that we could schedule the replacement to suit the business”, added Costas Ioannou, Operations Manager for Trios Compliance which was commissioned to update the station’s services. 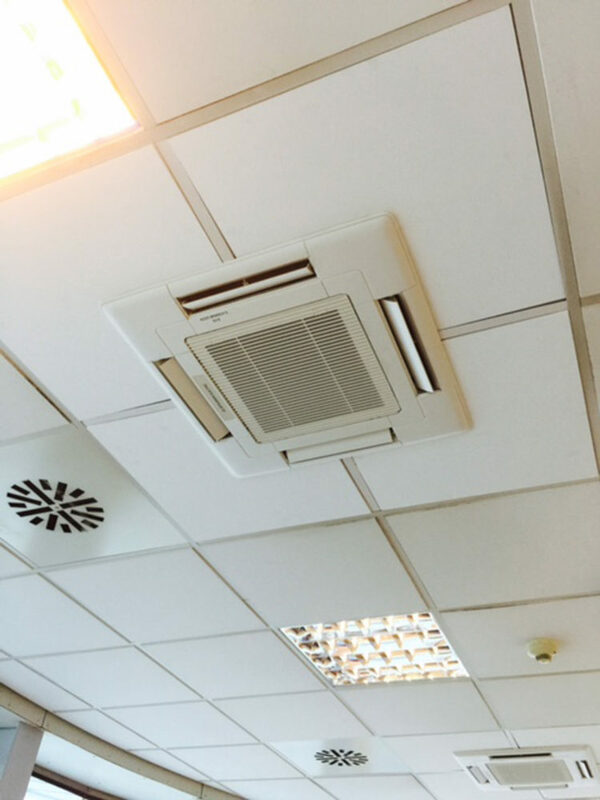 The company is an Accredited Installer of Mitsubishi Electric equipment and was aware of the benefits of using City Multi Replace systems to upgrade R22 air conditioning. “The Replace system from Mitsubishi Electric can really help because it can often simplify the renewal of air conditioning by allowing us to keep all the existing pipes and wiring”, added Costas, “this means we can swop over the indoor and outdoor units without having to dismantle and then reinstall all the internal piping”. Yvonne Whelan was full of praise for Costas and his engineers and is also delighted with the clean look of the new equipment and the enhancement in performance. Trios engineers were able to complete the entire replacement in two weeks despite having to work around both the busy bus station and the working offices. “We contained the work to small areas at a time so that we could keep disruption to a minimum”, explained Costas. Centro now has a modern, energy efficient system that offers more control and flexibility and will keep both commuters and office staff comfortable for years to come. For further details on the services provided by Trios Compliance, visit: www.triosgroup.co.uk. For more information on the issues surrounding R22 and the options for replacement, visit: www.replace.mitsubishielectric.co.uk.